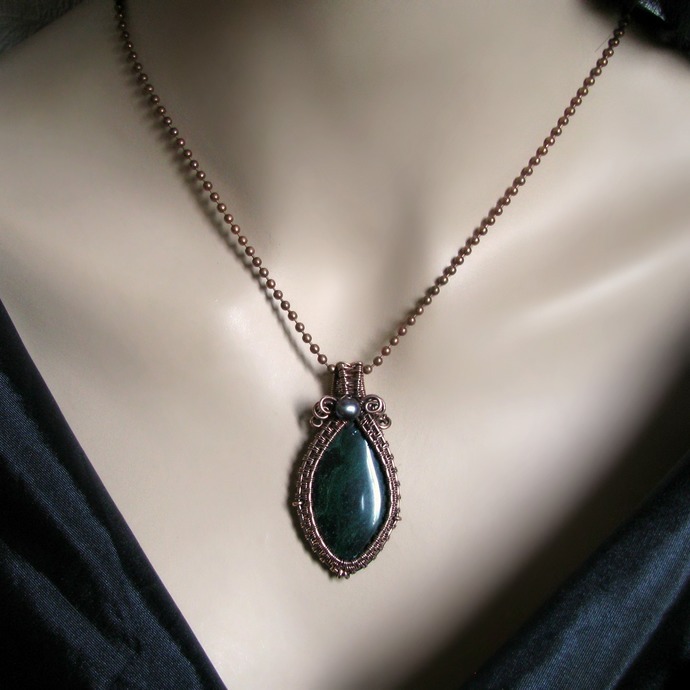 The rich dark green, copper and grey in this pendant make for a beautiful vintage vibe. 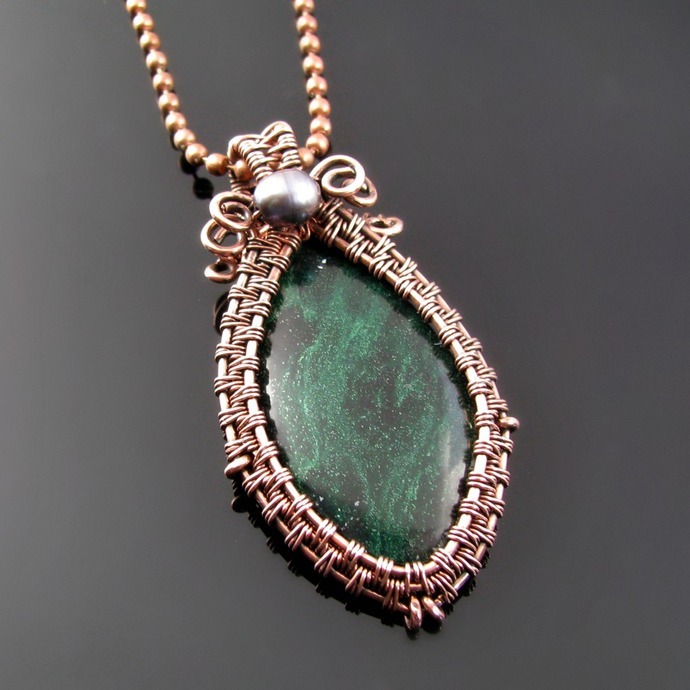 The artisan made cabochon is sitting in a bezel woven from oxidized copper wire with one single pearl. 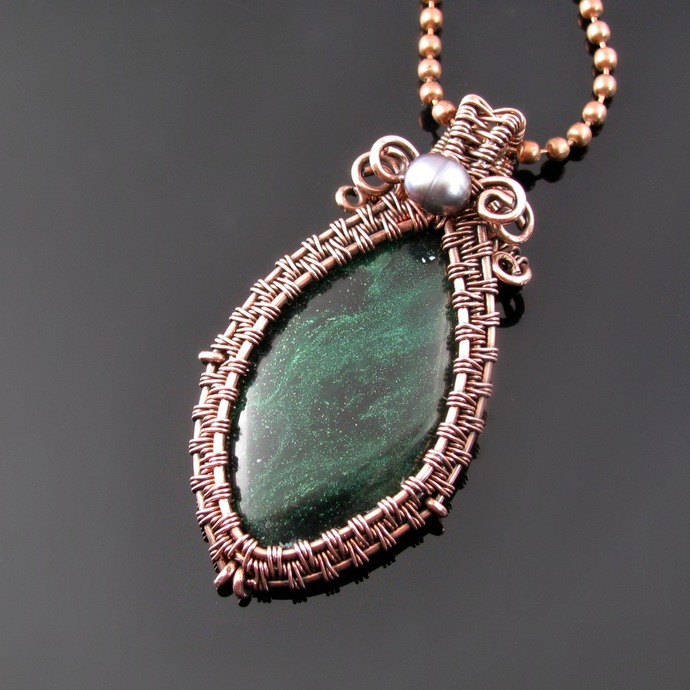 While I don't remember what kind of stone it is, it could possibly be a zoisit without ruby inclusions. 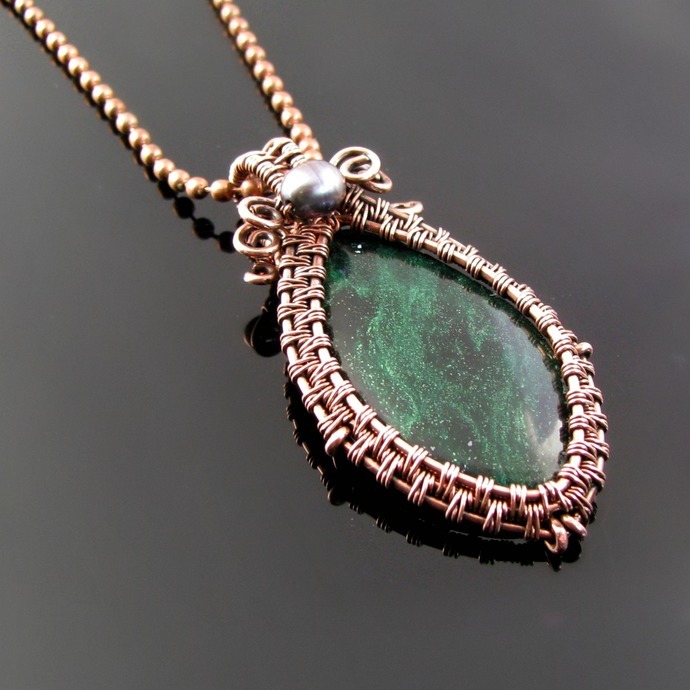 It is 5.3 cm or 2 inch and comes on an antiqued copper tone ball chain.